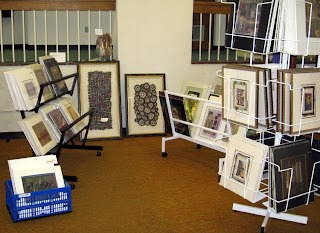 Artsfest 2008 Juried Exhibition and Art Sale will open with a Gala Preview on Thursday, February 7 from 6 PM until 10 PM at the former Florence County Public Library at the Corner of Irby and Pine Streets in downtown Florence. The event is sponsored by the Florence Regional Arts Alliance. and Sunday, February 10 from 1:30 – 5:30 PM. 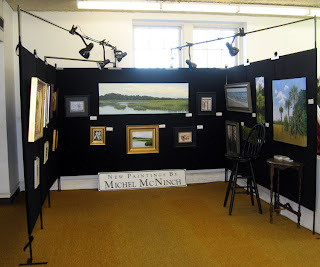 Vista Studios artists Michel McNinch (her booth is pictured above) and Susan Lenz (her booth is pictured below) are part of this event.